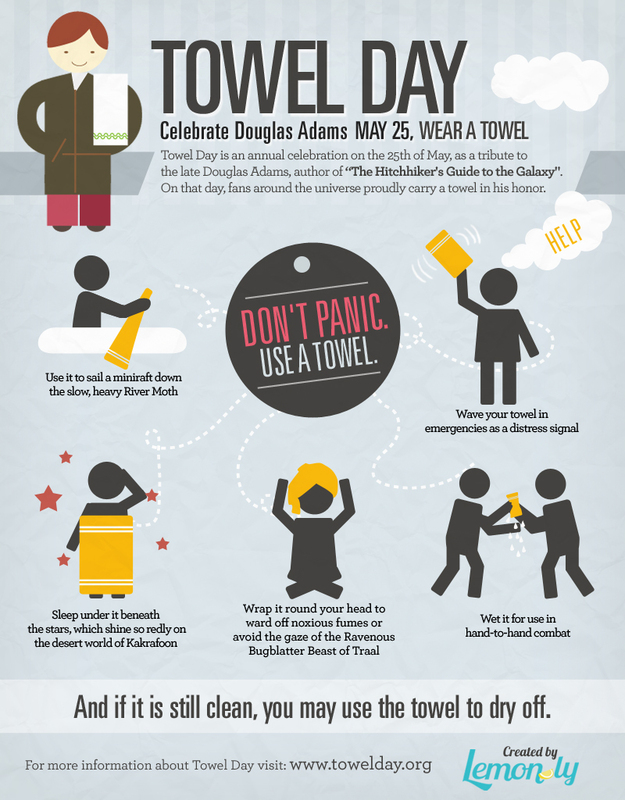 Kleefeld on Comics: Happy Towel Day! Artwork created by Lemon.ly. Yeah, it's more of an infographic than a comic, but I didn't want to just throw up another HHGTTG comic book cover this year.